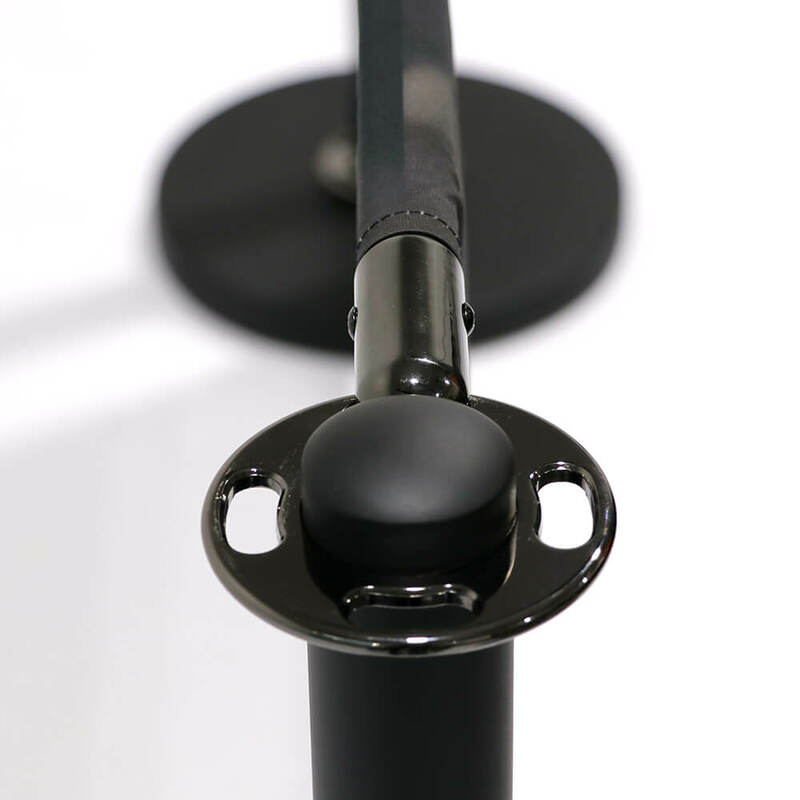 Steel components with powder-coated black finish. Includes 1500mm-wide graphic (printed either single-sided or double-sided). Bespoke-printed graphic printed on Display Polyester. Either full kits or extension kits available. 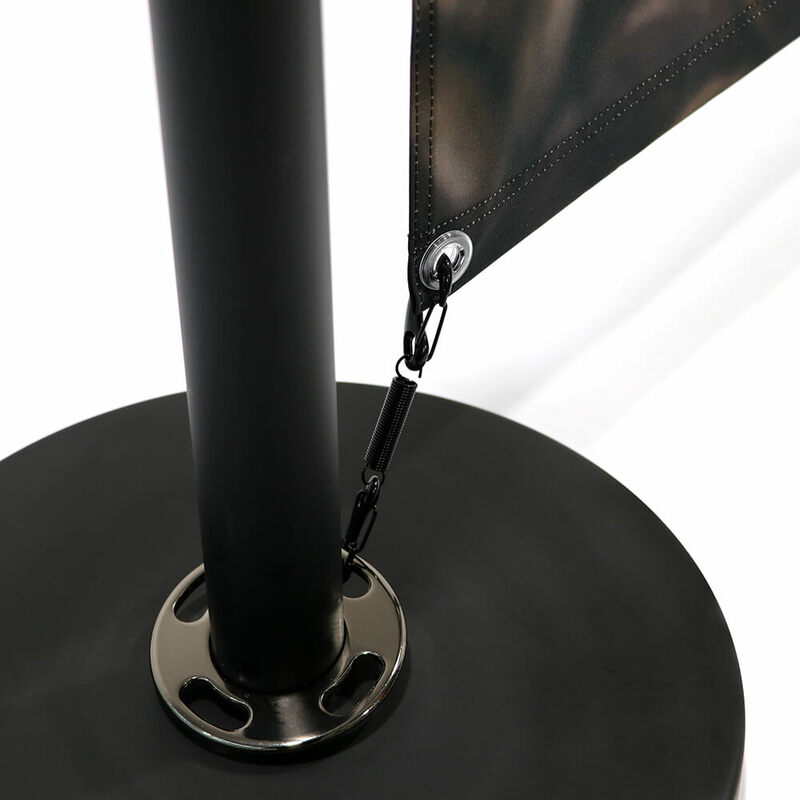 Both single-sided and double-sided graphics include a pole pocket along the top, with eyelets in the bottom corners. 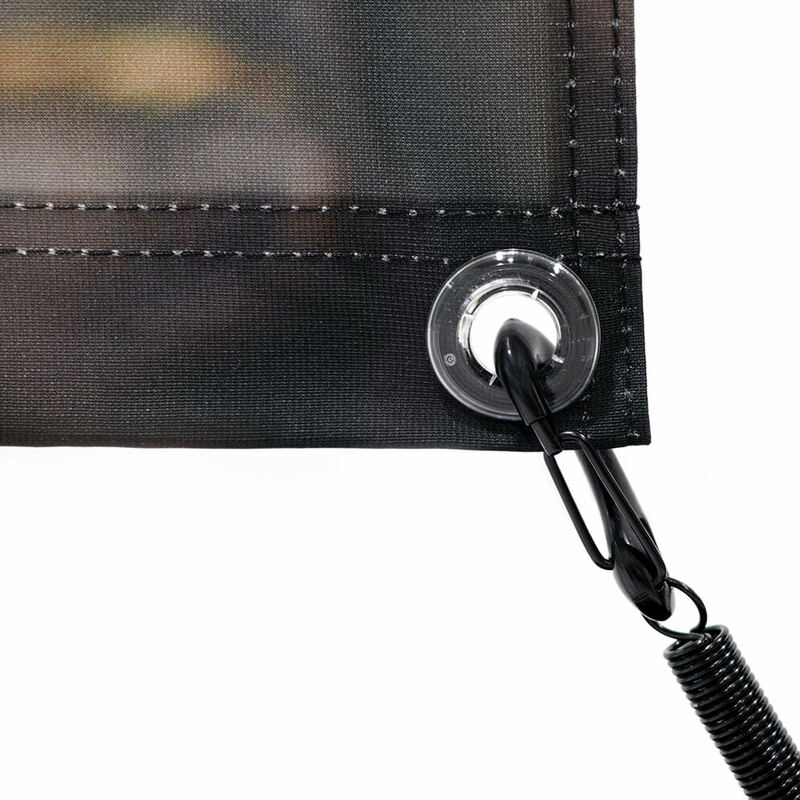 Supplied with a cross bar for the top of the graphic, and spring clips for the bottom corners of the graphic. Double-sided graphics are finished with a blockout lining between sides to prevent light show-through. 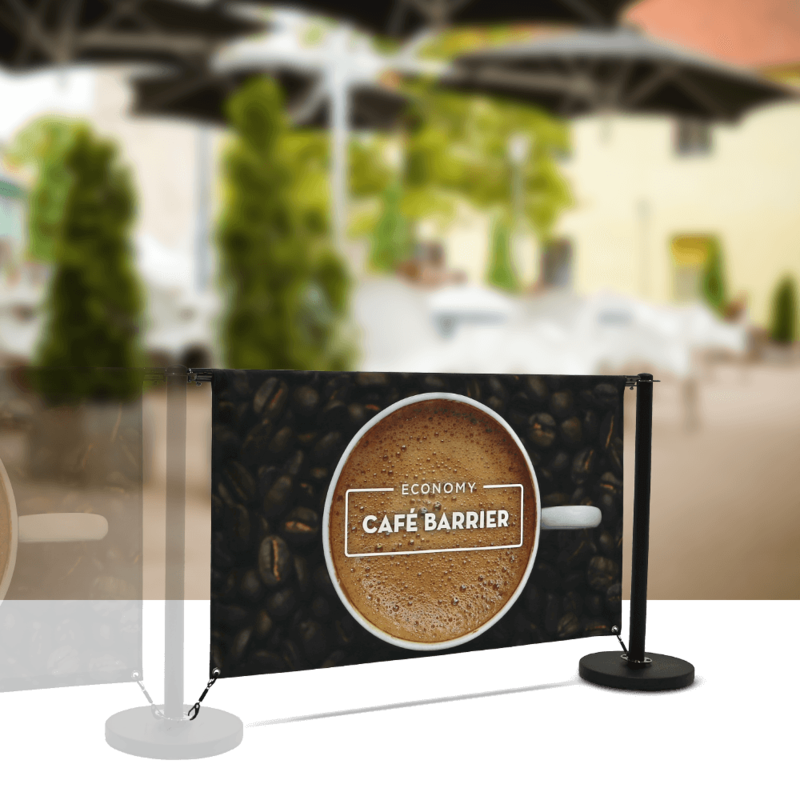 Double-sided graphics are finished with no visible horizontal stitching for a more seamless look than many other Café Barriers. This allows a design to make more effective use of the entire printed area. 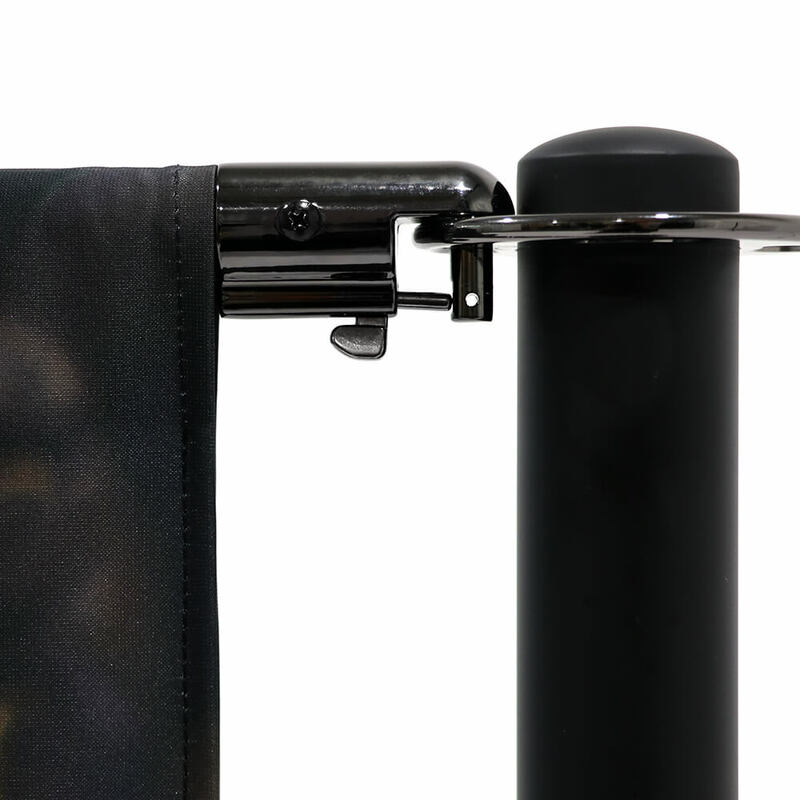 Each post collar allows the connection of four rails. 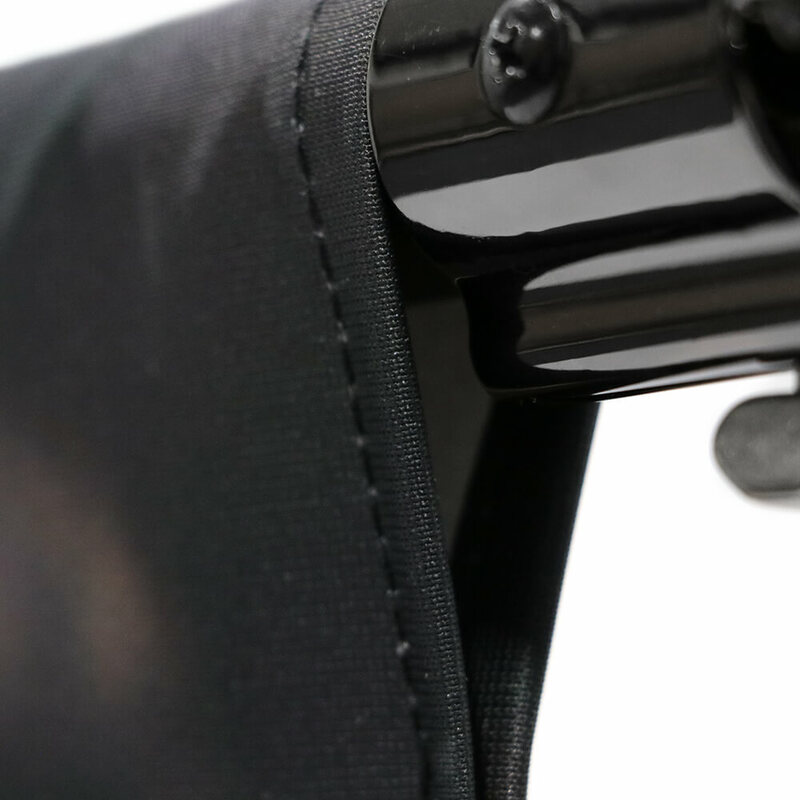 This allows barriers to be joined at right angles (narrower angles are also possible). 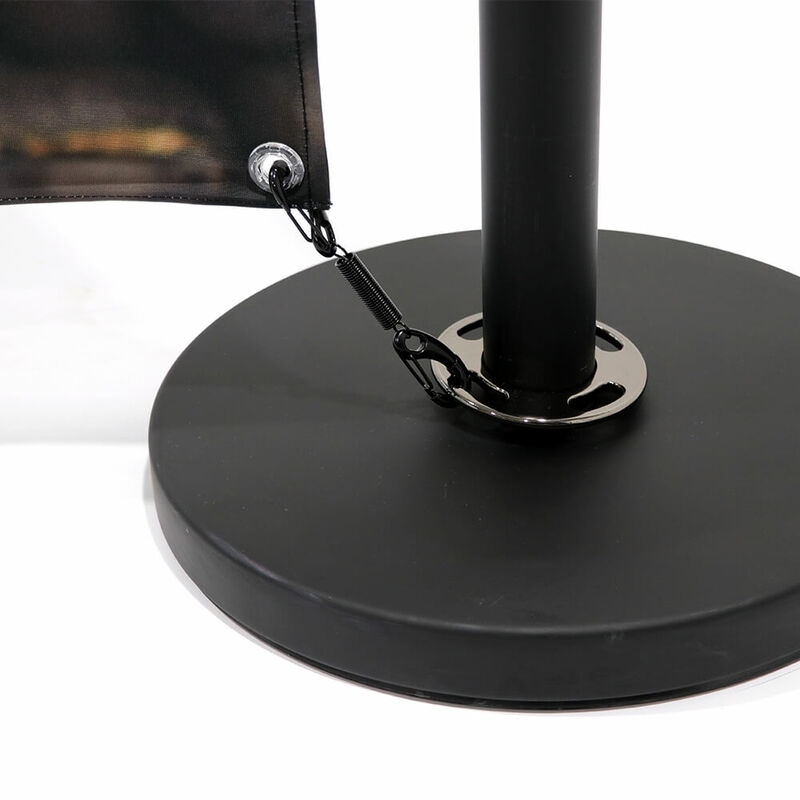 Non-slip and non-marking plastic ring underneath the base to prevent damage to floors. 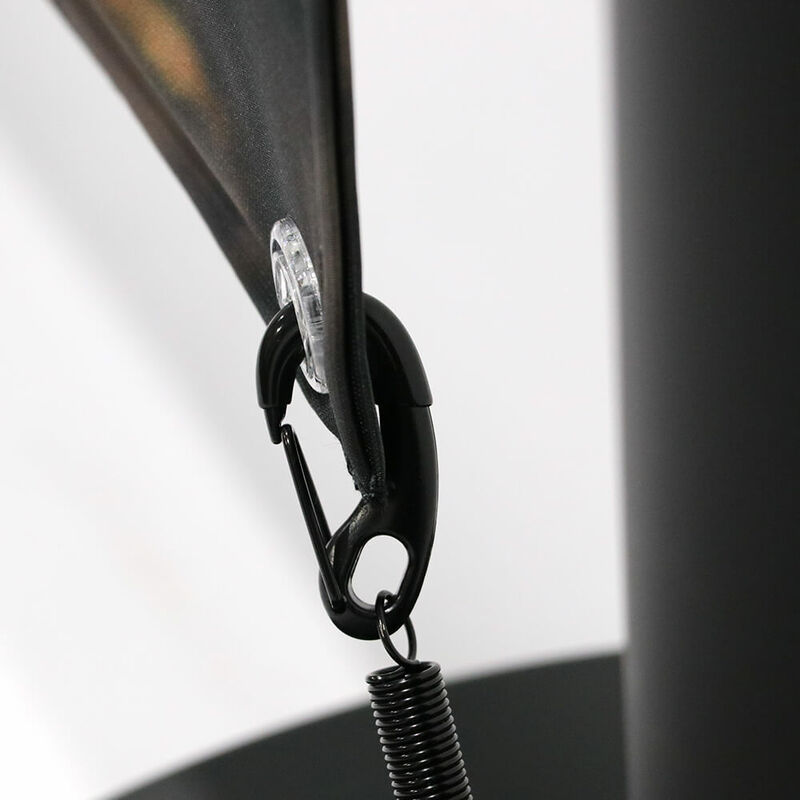 Each unit and graphic can be assembled and fitted in minutes, with no tools required. Suitable for both outdoor and indoor use. Whereas many suppliers use a lower-quality PVC banner material for Café Barriers, we use a high-quality Display Polyester. Which is Dye-sublimation printed for vibrant colours and images. There is no additional charge for more than one design or artwork for your order, no matter how many kits you are ordering or whether you are ordering single-sided or double-sided kits. 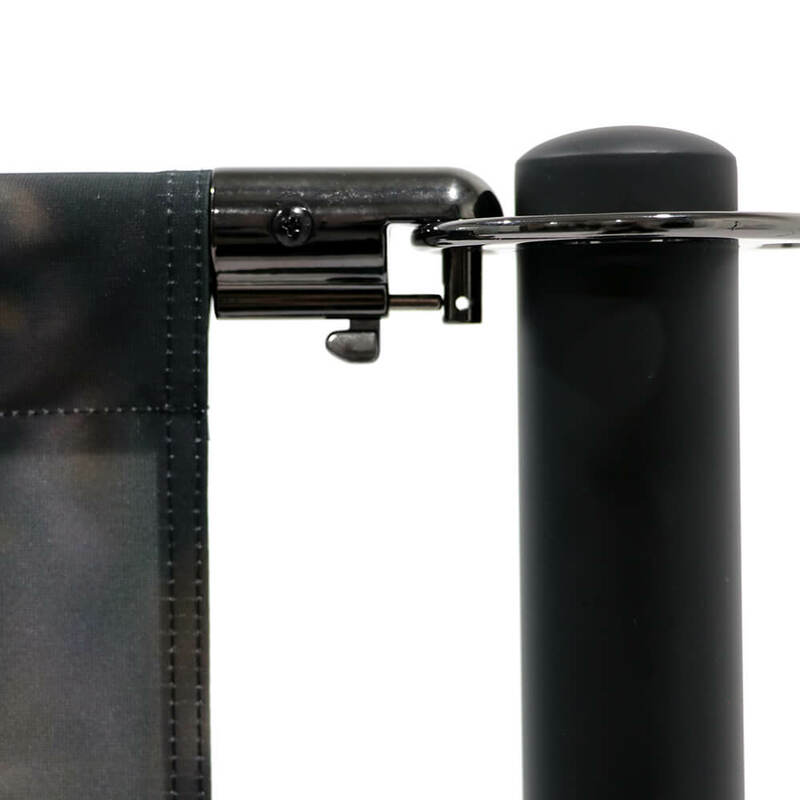 Due to stocking and/or logistics the Café Barrier hardware will often be dispatched separately to the graphics. 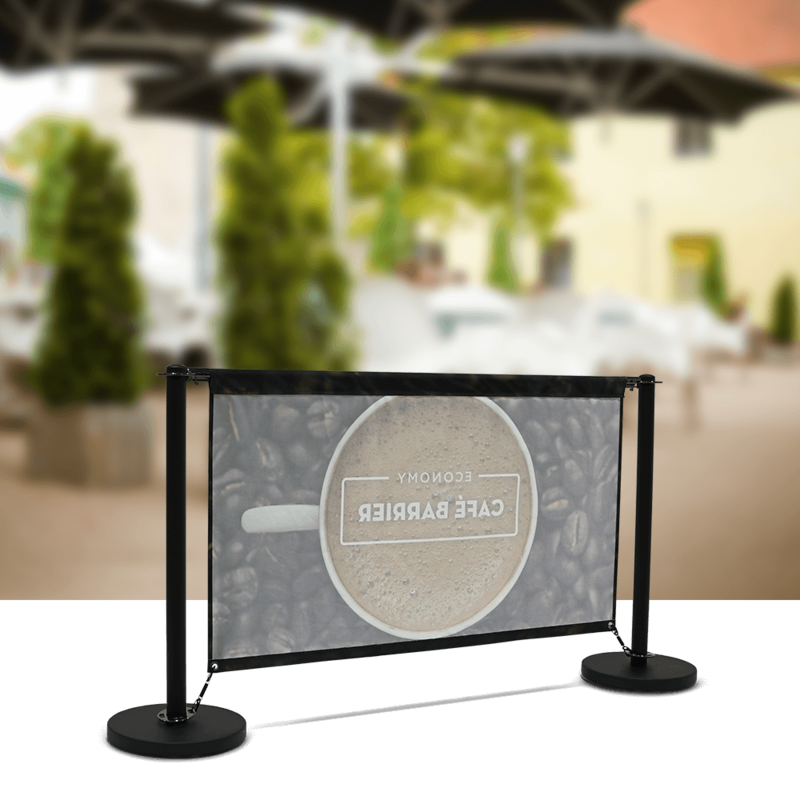 Consider where you position your Café Barrier, as air pollution will cause the white areas to become grey and UV can, over time, cause deterioration and fading to the fabric. Graphics can be washed in a regular washing machine on a 30 degree wash without detergents. Always allow the graphic to completely dry before storing. Café Barrier graphics should be taken down during adverse weather conditions, including strong winds in excess of beaufort scale 4 (13-18mph). Heavy rain combined with high winds can increase the weight of the graphic and put extra strain on the finishing and fittings. Life expectancy is entirely dependant on the climatic conditions and length of active use. Realistic maximum lifespan of a regularly used Café Barrier graphic is one year. Get an instant price for a Banner, or other large format print.